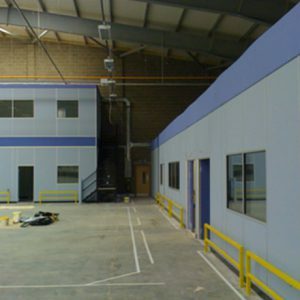 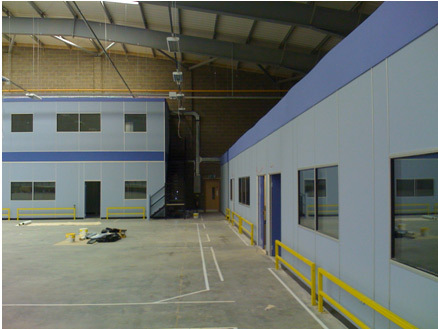 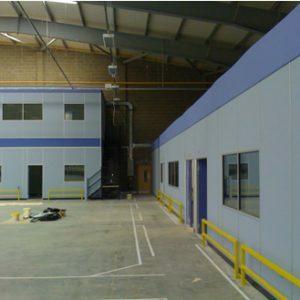 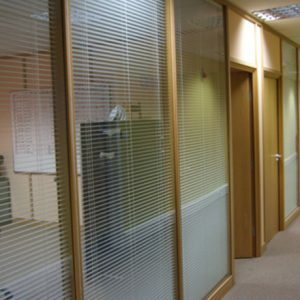 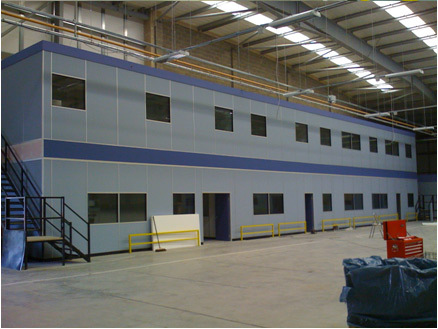 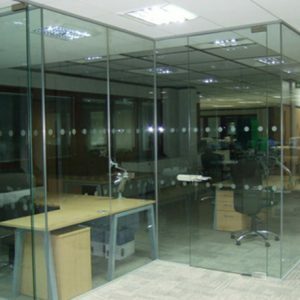 We worked with this motor parts manufacturing company to design two-tier offices. 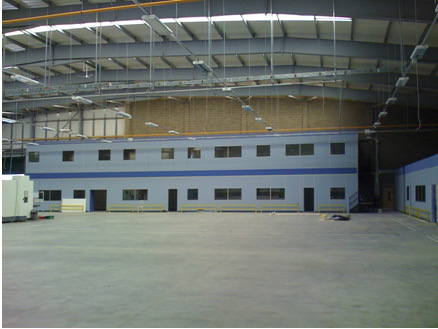 Needing ample floor space, we completed a mezzanine floor installation. 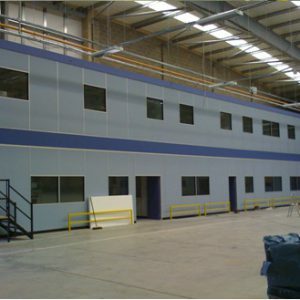 In addition, this company is outfitted with a full one hour of protection from fire on the mezzanine steelwork. 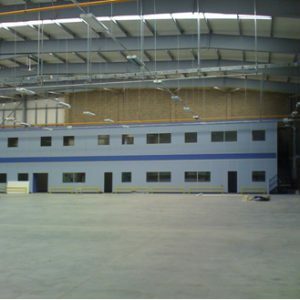 Due to their manufacturing needs, we installed a clear 9-meter suspension system to support internal suspended ceiling supplies.